The garnet family of gemstones is large and varied, but spessartite garnet is no ordinary garnet. Spessartite is a brilliant gem that has an even higher refractive index than sapphire. In fact only zircon, sphene and diamond are higher on the refractive index scale. Garnet has always been highly regarded for its good hardness (7 to 7.5 on the Mohs scale) and excellent durability (it has indistinct cleavage). Whilst inexpensive everyday garnets - almandine and pyrope - tend to be dark-red with a distinct brownish tone, spessartite differs. Its striking orange and orange-red color combined with tremendous brilliance make spessartite very special. Spessartite is manganese aluminum silicate by composition, and it is manganese that gives it the remarkable orange color. Spessartite is among the small group of ideochromatic gems, which are colored by a fundamental element in their composition rather than by impurities. Some spessartite has traces of iron, which result in a rich orange-red color that is highly regarded by spessartite connoisseurs. 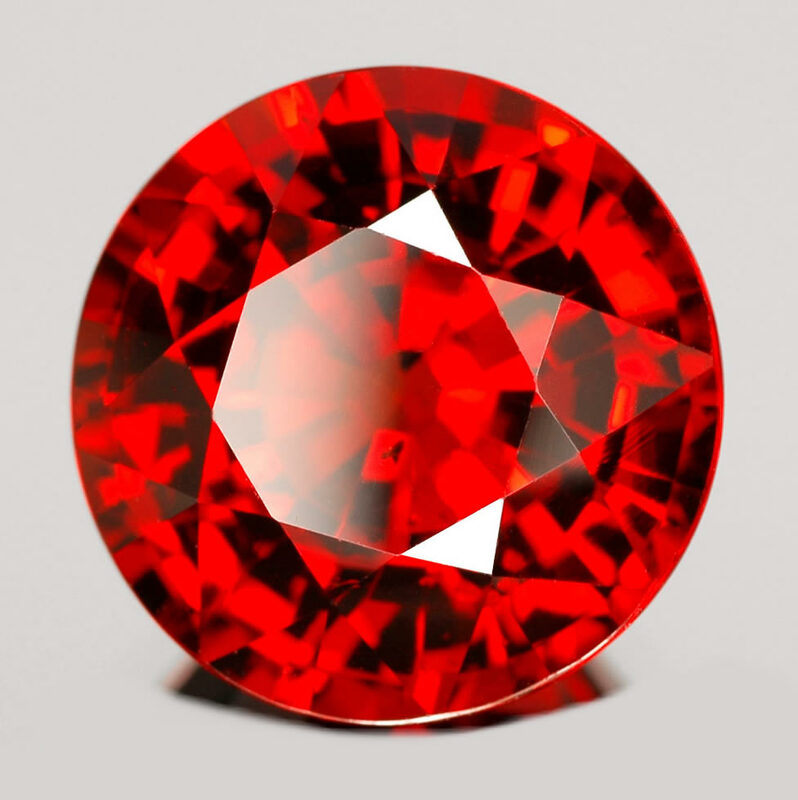 Prior to the 1990s, spessartite garnet was a rare collector's stone. That changed in 1991 when an important new find was made in Northwestern Namibia. In 1999 a much larger discovery was made in Nigeria. More recently we have seen excellent material coming from Mozambique. Today spessartite is reasonably plentiful, but mining experts warn that this is likely to be only temporary. As the market is becoming aware of the allure of spessartite, it is increasingly incorporated into fine jewelry designs. The striking color and brilliance are sufficient to make spessartite very interesting. Furthermore, when you consider that all spessartite is untreated, its special value becomes even more apparent in a marketplace where even very expensive sapphires and rubies are routinely heat treated. Namibian spessartite is famous for its tangerine orange or "mandarin" color. This material tends to be included with many small crystals and needles. We are now seeing less and less Namibian spessartite on the market. The Mozambique spessartite ranges from pure orange to orange-red and red-orange, with many very clean specimens. Some included material with excellent color is cut in very attractive cabochons. We have bought such cabochons as large as 50 carats. High quality clean red-orange spessartite can be found in gemstones weighing up to 10 carats, but the mandarin orange variety tends to be found in smaller sizes.